We have a very unique road bike for sale: a Bianchi Sport SX from the early 80’s in an unusual color (especially for Bianchi!) and exceptional condition. Kelli was looking for a touring bike a few years back when this beauty came up in her search. Emphatically not a touring bike, she fell in love and enjoyed some excellent riding (including the Ride Around Torch Lake - which should be a bucket list ride for all Michiganders!). It’s the prettiest, fastest bike she’s ever ridden. But she found the touring bike of her dreams and sadly, Violet didn’t get out nearly enough last season and so, the tough decision to put her out on the market has been made. Hopefully, the right home is found for this very special bike with lots and lots of miles to be had. This is the original paint job! The only place on the bike where the paint has any flaws is the interior of the chain stay. Light wear aesthetically, but it rides like a brand new bike. Spring is Coming...& We Got Tours & Savings for Ya! 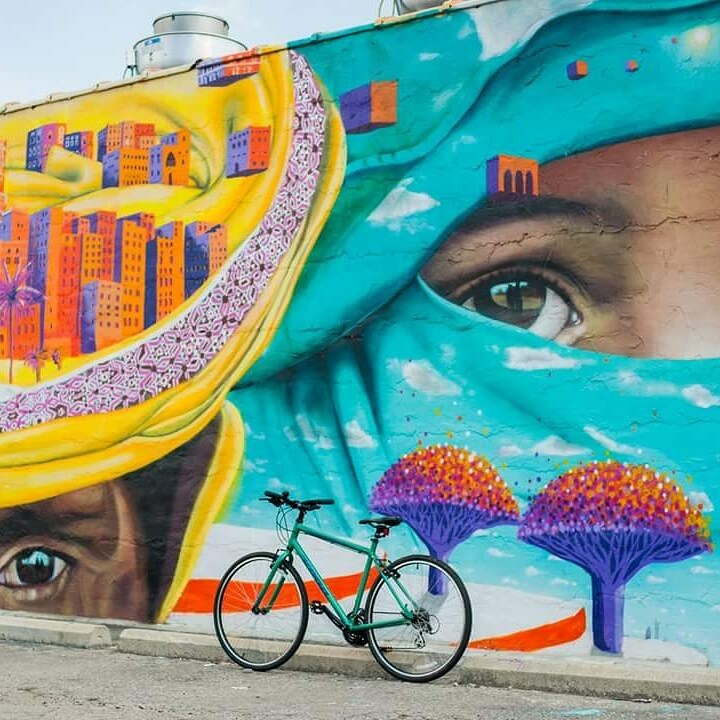 Experience the Motor City on Two Wheels! We are so excited for our 2019 tour season to kick off next month and have been busy behind the scenes getting ready for our best year yet. Since it is still a bit wintery out there, we are offering two great ways that early birds can save by booking now! The booker of any Private Tour will enjoy a FREE SPOT. This applies to all groups that have reserved a date for this season by the end of March. To find out more about booking a private outing, head over HERE. It's a great team-building exercise, reunion or wedding activity, or afternoon adventure for any group! Our tours are led by Detroiters who are passionate and knowledgable. We only take out small groups to ensure a safe, personal experience. 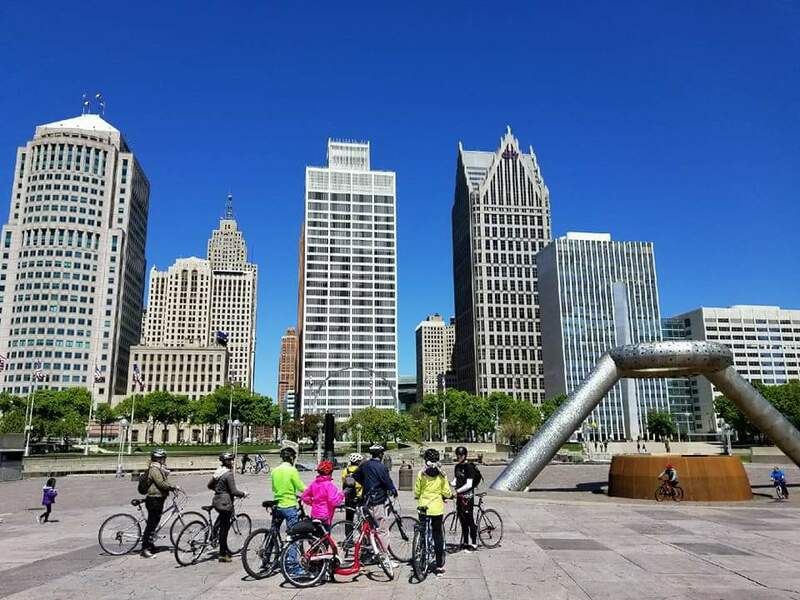 We've been at this since 2008, so we've had plenty of time to become experts at bike touring in Detroit! Join us for an experience that you will always remember. Our 12th Season on the Detroit Riverfront kicks off April 5! Our April hours will be Noon to 6PM Friday, Saturday, & Sunday. 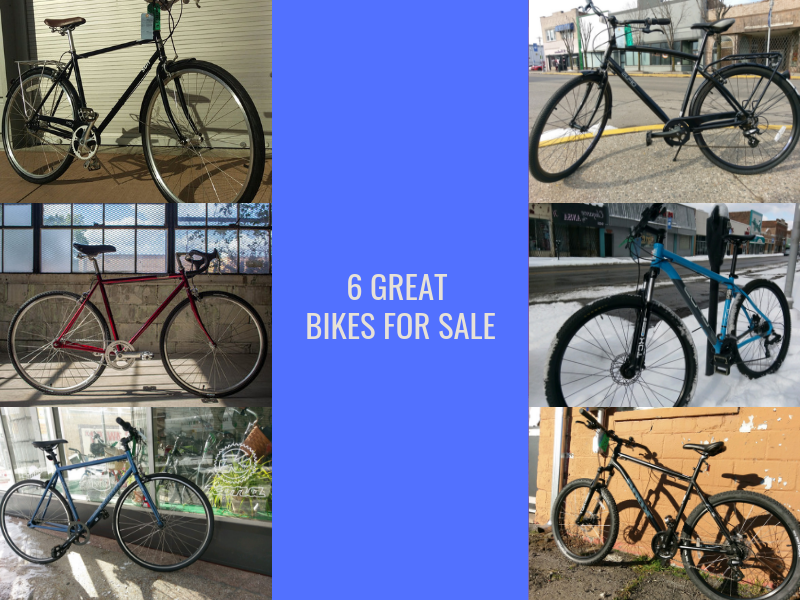 All 2018 & older model bicycles are AT LEAST 15% OFF! WE NOW CARRY DCFC GEAR & TICKETS! 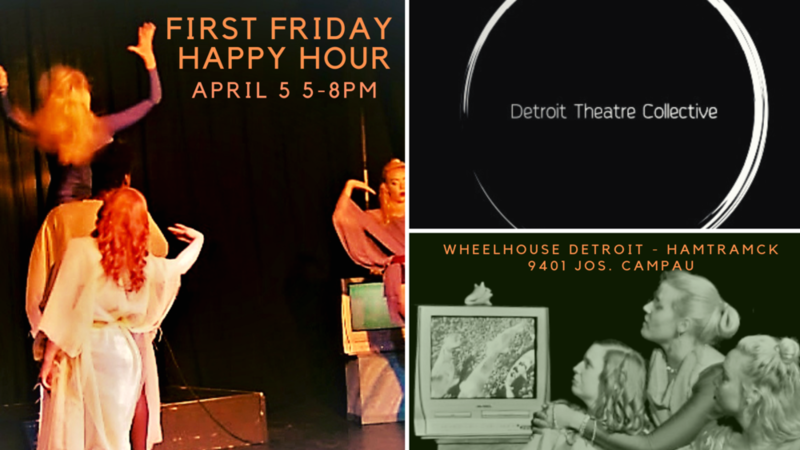 April's will support the Detroit Theatre Collective. More info HERE. It's been a long winter (aren't they all!?) and we are very much looking forward to seeing all of our hibernating friends. And to those of you who did manage to pop in every now and again to say "hey" during these grey months, we appreciate you! Winter or Not, We Got Events Coming Up! We are currently on Winter Break, but we will be back Saturday, January 26 with not one, but two events…and then our monthly First Friday Happy Hour comes up later that same week. Get ready to hang with Wheelhouse! Meet up at the shop at 9AM for a 2-hour ride with a stop at a coffee shop. Pace and distance determined by group. This is a no-drop ride. Come layered up and ready to ride! More info and future dates HERE. Informal, personal instruction on how to fix a flat — one of the most invaluable tools a cyclist can have in their belt. Bring your own bike or use one of our rentals. And any tube or tool you purchase will be 10% off! More info and future dates HERE. Our monthly happy hour will benefit the Michigan Chapter of the Leukemia & Lymphoma Society and will feature tacos from our buds at Dos Loco. Swing by and enjoy a beer or two and help out some good people at the same time. More info HERE. 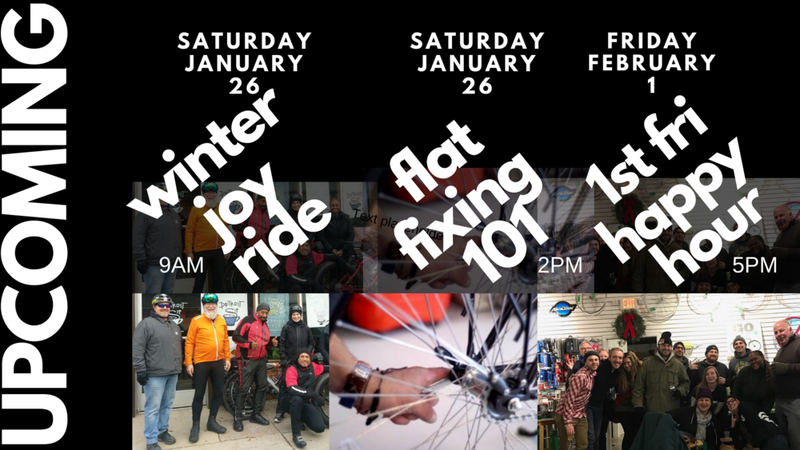 November News includes info about winter shop hours, upcoming Happy Hours and Winter Joy Rides, Small Business Saturday, and more! Check out the latest news from the shop(s) HERE! Pay Rate: $9-11/hour depending on level of experience. Hours: 10-32/week. Evaluation and raise after 30 days. 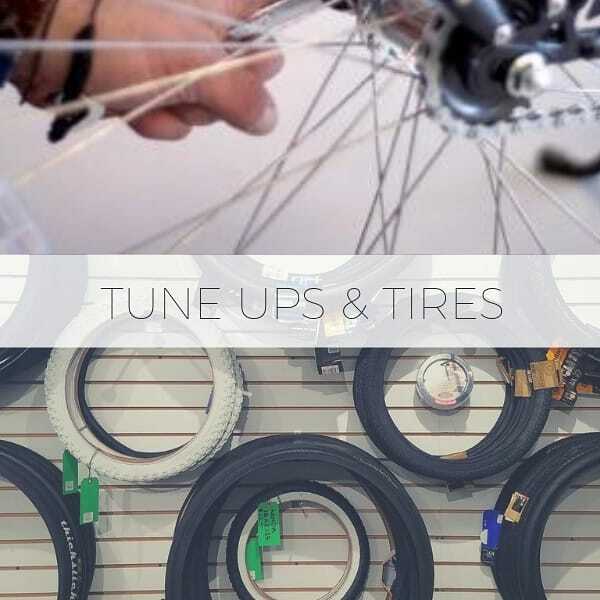 Duties: A Bicycle Service Technician is an integral component of a multi-faceted bike shop that services a diverse clientele with a strong focus on customer service. Their primary responsibility is to ensure a smooth running service department at all times. This can include assembling new bicycles; servicing customer bicycles; assisting in the maintenance of the rental fleet; and contributing to the inventory management, cleanliness and organization of the service department. This job requires a positive attitude, strong teamwork skills, willingness to learn on the job and absorb constructive feedback, and mechanical experience. Proven customer-service experience and/or prior bike shop experience would be a plus. You will report directly to the Service Department Manager and General Manager. A successful candidate will contribute to the overall success of the company by participating in all aspects of the business, including a willingness to assist on the retail floor and with bicycle rentals as necessary. Due to the seasonal nature of this position, candidate must have weekend and holiday availability. No uniform is required, although we will provide you with a couple of t-shirts. No open-toed shoes. Fancy clothes are not recommended. Extra shifts may become available, including Bike Parking and Tour Sweeper. This job is at-will, part-time, and seasonal. Season is May-September. Send resume or summary of work experience and three references to info@wheelhousedetroit.com.